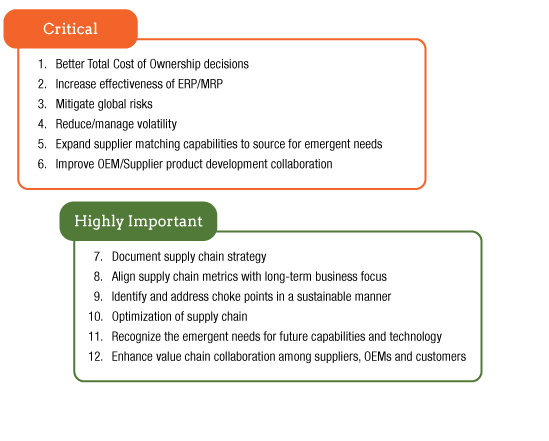 Within the Supply Chain Optimization program, MEP centers are the only resource able to help you focus on the critical areas of the supply chain at all levels; from the top tier through all supporting tiers and value chains, down to the lowest tier. 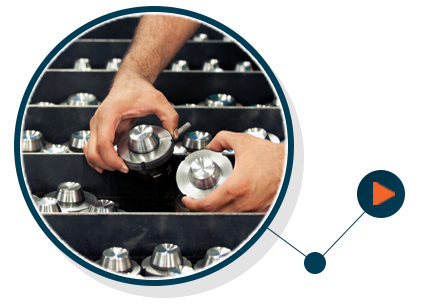 Based on a Theory of Constraints methodology, MEP centers improve supply chain performance by quantifying the needs of the supply chain and focusing on improving the points in the process that are impeding the throughput of the entire supply chain. In the spirit of continuing to solve manufacturers’ most complex issues, NIST-MEP conducted research to identify the critical needs of supply chains. Through a two-phase ‘Voice of the Customer’ survey, 12 competitiveness drivers were discovered and the six most critical highlighted.